ENVIS Bulletin ‘Coastal and Marine Protected Areas in India: Challenges and Way Forward’ Volume 15 brought out by the Wildlife Institute of India, ENVIS Centre on “Wildlife & Protected Areas” was released by the Hon’ble Minister Shri Prakash Javadekar, Minister of State (Independent Charge), Ministry of Environment, Forests and Climate Change, Government of India in presence of Dr. S.S. Garbyal, Director General of Forests & Special Secretary to Government of India in Wildlife Institute of India, Dehradun on 30 August, 2014. India has a vast coastline of 7, 517 km of which 5, 423 km belong to Peninsular India and 2, 094 km to the Andaman Nicobar and Lakshadweep Islands and with an EEZ of 2.02 million sq. km. Despite the tremendous ecological and economic importance and the existence of a policy and regulatory framework India’s coastal and marine ecosystems are under numerous direct and indirect pressures arising from different types of economic development and associated activities are having adverse impacts on coastal and marine biodiversity across the country. 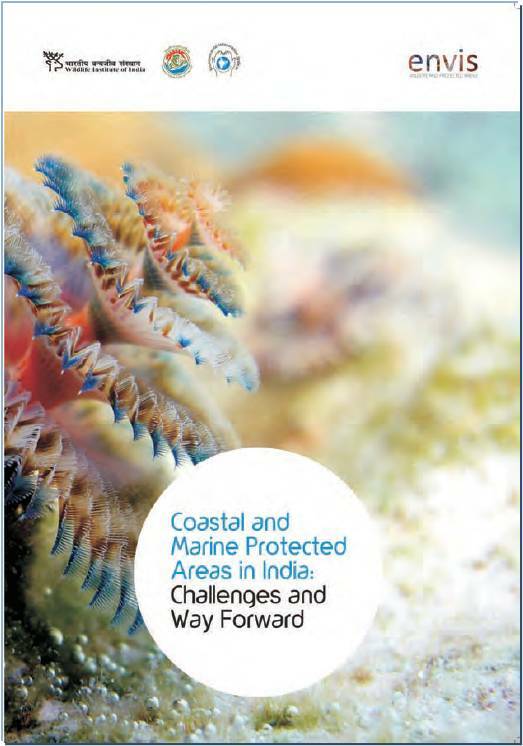 This special ENVIS issue covers the entire gamut of issues related to coastal and marine protected areas in the country as well as provide a comprehensive data base on Coastal and Marine Protected Areas Network in India. This issue can be downloaded from the WII-ENVIS Centre’s website www.wiienvis.nic.in. Please send your comments/ observations to WII-ENVIS Centre, Wildlife Institute of India, ENVIS Centre, Chandrabani, Dehradun – 248001, Uttarakhand India. Email: wii@envis.nic.in, envis@wii.gov.in.